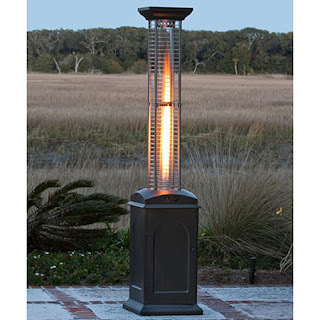 Patio Heater Resource: What type of patio heater is right for me? While patio heaters are generally very versatile and just about any could work in most situations, you definitely want to try to select the unit that will work best for you. If you neglected to do your research, it would be very easy to over or under buy for your needs leaving you disappointed in your purchase. Some of the things you’ll want to consider before making your selection are listed below. Size – Patio heaters come in table top, wall mounted, and full-sized freestanding versions ensuring that there is one that can be placed in most outdoor spaces regardless of the square footage of the space. Calculating the amount of space you want to dedicate to the unit itself will help narrow down your choices. Heat output – Perhaps one of the most important factors when choosing a patio heater is calculating the amount of space you’re going to want to warm. It would be unfortunate to purchase an insufficient unit and have no choice but to buy another unit or to find you've overspent on a unit you just don’t need. Fuel type – You can purchase heaters that operate using liquid propane, natural gas, or electricity. When choosing which type is best for you consider the cost of running the unit with each type of fuel and the placement of the unit. Location – Are you planning on using the heater near an awning or tent or in an open outdoor area; close to a building with natural gas or electrical hook-ups or further into the yard? These factors will easily eliminate some patio heaters from the running. Finish – Available in a variety of finishes such as copper, stainless steel, painted, and powder coat; there is a look to fit in any décor. Not all finishes are created equal so it is wise to consider how they will wear over time. Style – Whether you are looking for a piece that will blend into its surroundings or something that provides more visual appeal – there are certainly a variety of options available to pick from. Perhaps you want the look of a lamp sitting on a table, a streamlined stick type design, a traditionally styled unit, or something in between – whatever your style it’s likely out there for you. Features – Many units are available with extra features you may want to consider when making your decision. Look for features such as a remote, push start button, weighted base, anti-tilt switch, added wheels for portability, or a table top attached to gather around. If any of these are important to you, you’ll want to make sure they’re on the unit you’re considering. Accessories – Consider the possibility of available accessories for the heater you choose. One of the most common add-ons is a cover (usually sold separately and often generic) for added protection. While it may seem like a lot to take into consideration the decision is ultimately an easy one. Whatever you choose, you will certainly spend substantially more time in your outdoor space with the addition of a fabulous new patio heater.